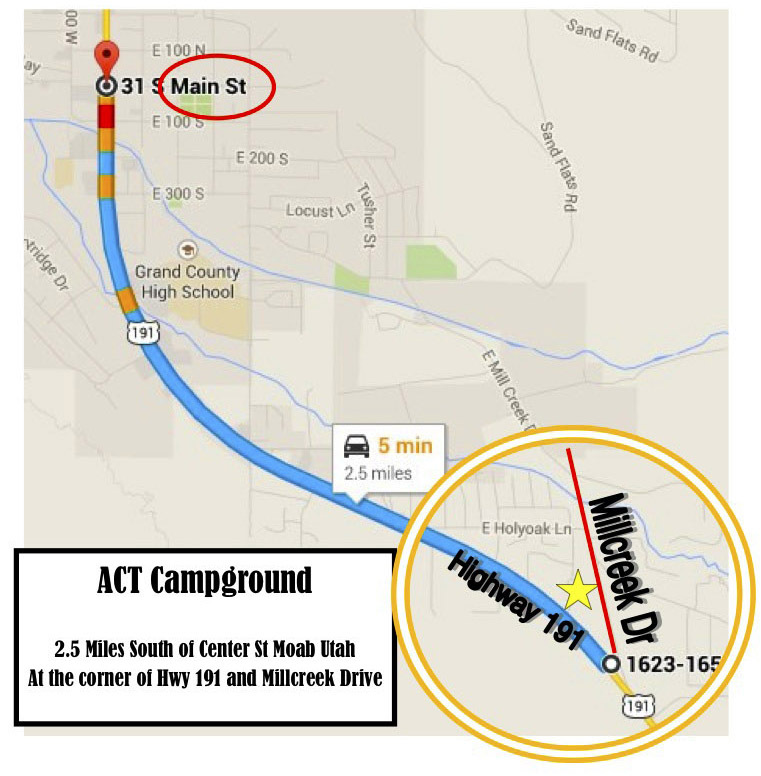 We are located just 2.5 miles south of the city center of Moab, at the junction of U.S. 191 and Mill Creek. Look for the big billboard sign and turn onto Mill Creek. 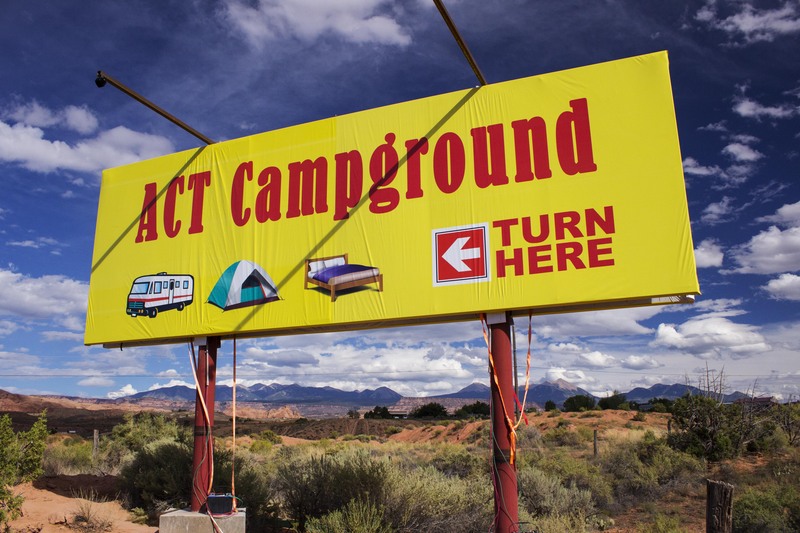 The ACT Campground is laid out with a 360 degree view of the LaSal Mountains and the red rock cliffs surrounding Moab. 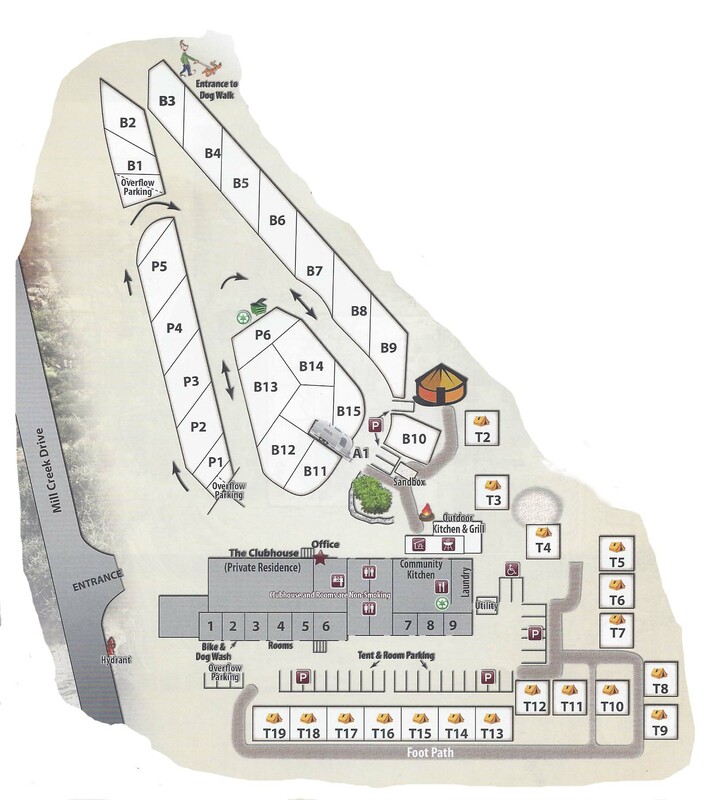 Below is a plan of the site, showing the available RV and tent sites. Cabin rooms are located on the back side of the 5000 sq. ft. Clubhouse, which includes the Learning Center and Community Kitchen. There is also a patio with outdoor grilling kitchen for use by all our guests. Please do not let your GPS give you directions using our mailing address, as you may end up on the wrong place. Because we are new, some systems don’t know where we are. Please follow the simple directions above. The Clubhouse and adjacent Patio is the center for a range of activities, including meal preparation in the Community Kitchen and Outdoor Grilling Kitchen, educational events, enjoyment of a fine art photography exhibition, and outdoor cookouts and fireside relaxation. The drawing below shows details of the Clubhouse, which includes nine cabin-style rooms along the north side. The Clubhouse is built using a variety of environmentally sound and sustainable methods. Please come and enjoy the facilities and hang out with fellow campers. • Designed so that two or three groups can cook at the same time (two of most everything plus an outdoor kitchen with a natural gas grill, pizza oven and griddles ). • Refrigerator and designated cupboards can be used but items must be dated and labeled with your name. Unlabeled items will be removed. PLEASE CLEAN UP AFTER USE! • There is NO SMOKING ALLOWED in the Kitchen / Learning Center and Cabin Rooms or within 50 feet of the campground headquarters. This is strictly enforced. • RV and Tent Sites must be kept neat and clean. • Community Kitchen & Dining Area to be kept nice and clean. Wash dishes and cookware, dry them and put them back where you found them. 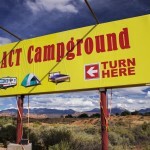 • No more than two licensed vehicles in RV sites. • One vehicle per tent and room; extra vehicles $5. • No fireworks or discharging of firearms. • Bikes and pets may be washed behind garage. • IF PETS ARE LEFT UNATTENDED animal control will be called. • PETS ARE NOT ALLOWED in rooms. If the pet rules are violated, double the room rate will be assessed. • Please do not put trash in bathroom or laundry garbage cans. • Please recycle and respect the environment. Recycle bins are provided. Check-in time for tent and RV sites is 12 noon. Check-in time for cabin rooms is 4 p.m. Please be considerate to our arriving guests. Please note that we have a limited number of pull-through sites and cannot guarantee a pull-through for RVs under 35 ft. in length. All of our back-in sites will accommodate RVs at least that size and up to 45 ft. length.